KBR is delighted to welcome back Debbie Hatswell from Story Mama with her suggestions for books that should be part of every baby's first library. One of the joys of a new baby is getting to delve back into the world of classic picture books from your own childhood as wel as discovering new ones. There is something really special about those moments when your child starts to interact with books, whether it be reaching out to turn the pages, lift the flaps or even by giving them a good old chew! If we were in charge of the world, every child would get to have their own little library, a collection of beautiful books to treasure, to enjoy, and to help them get the right start in life! Books make a fantastic present for a new baby, but remember when you are choosing formats, keep an eye out for board books, which are a little more durable than Paperback or Hardcover editions. Baby Caterpillar eats his way through all sorts of fruit and unsuitable food until it is time to go into his cocoon to become a butterfly. This multi-international-award-winner was first published in 1969 has been translated into 25 languages and has sold more than 12 million copies. 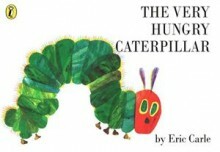 The concept came to Eric Carle when he was fooling around with a hole punch. This should be on your “must own” list. We haven’t met a kid yet who hasn’t loved it. Eric Carle’s distinctive art work is bright and colorful and the finger sized holes make it very interactive. Little ones will delight in the beautiful surprise at the end. As everyone knows, nothing is sweeter than tiny baby fingers and chubby baby toes . . .
From two of the most gifted picture book creators of our time, here is a celebration of babies and the joy they bring to everyone, everywhere, all over the world! This multi-award winner (including the Australian Book Industry Award 2009) is a sweet rhyming story that little ones will love. It is beautifully illustrated and will tug at maternal heart strings with the heartfelt message to baby at the end. It makes a fantastic baby shower or new baby gift and is often the first book a parent reads to their new arrival. Cow, Pig, Donkey, Sheep and Mouse all leap one at a time into a row boat until it sinks. 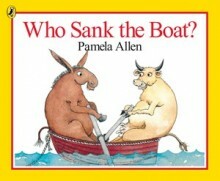 You will never guess who it is that actually sinks this boat full of animal friends. It continues to amazes us how the ending manages to surprise and delight a toddler every single time. This story book is a bit of fun. Multicoloured sheep are up to all sorts of antics in this one, juggling, diving, surfing, playing in the park. The hunt for the Green Sheep is on. This multi-award winner (including CBCA book of the year 2005) will capture your little ones imagination and they will love the silliness of the sheep up to all sorts of mad-cap adventures. 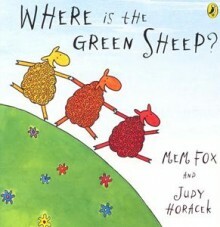 I love how the hunt for the green sheep never fails to entertain my little one even after many, many, many, reads. We also know many parents who can now recite this word for word! Lift the flaps to find Spot in the first book of this series. 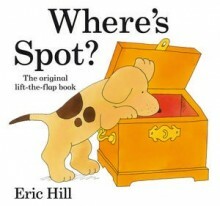 The Spot books have just had their 30th birthday and have been loved by generations. I am pretty sure Spot was the first book character my little one fell in love with and demanded to read over and over again. Your toddler will love finding where Spot is hiding under the flaps. Warning for parents, keep the sticky tape handy, little hands can be rough with lift-the-flap books! Bossy chicken demands to know what type of animal the reader is. Many toddlers favourite word can be “No!” so this story is a great chance to let them give it a workout. 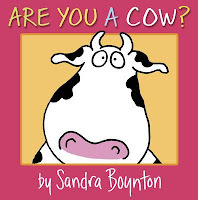 This is a cute, quirky story full of Sandra Boynton’s distinctive animal characters. It includes a sweet lesson that it’s ok to be yourself. Set in the 1940’s, this book follows the busy day of a baby. A series of holes in the pages lets your little one peek into the next page at the goings on of his family. This classic has recently celebrated its 30th birthday. We love the nostalgia in this one, although fair chance your little one is unlikely to be familiar with a bucket of coal or a hairnet. This book is a lovely reminder of family life before electronics. Most little ones will love shouting out “Peepo!” along with the baby in the story. It’s getting dark and baby animals are being put to bed. This one was on the bestseller lists in the USA for a year when it was first published in 1993. The gentle rhyming text make this a fantastic book for bedtime and it seems to have a magical ability to calm the energetic toddler bouncing around the room. It makes a great bed-time read aloud and your little ones will enjoy spotting animals they know. Story Mama is an online bookstore specialising in picture books for babies, toddlers and pre-schoolers. We stock just our favourite titles, hand-picked by mums. Visit the Story Mama website to shop by age, by interest, or by milestone.